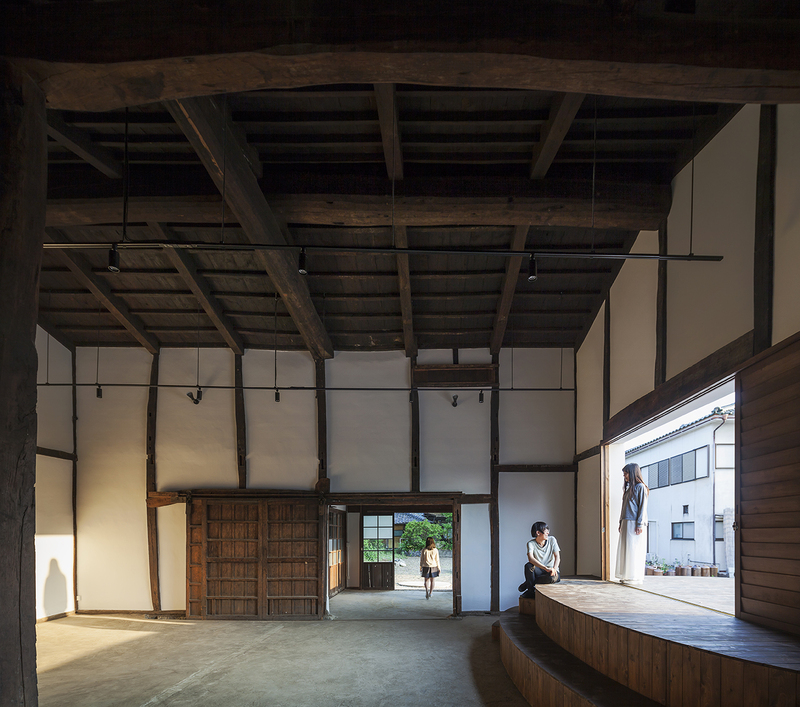 This project is a conversion of a kura, a traditional Japanese warehouse, into a community space. In cooperation with a local community group, we designed this building with the broader goal of contributing to the revitalization of the area. 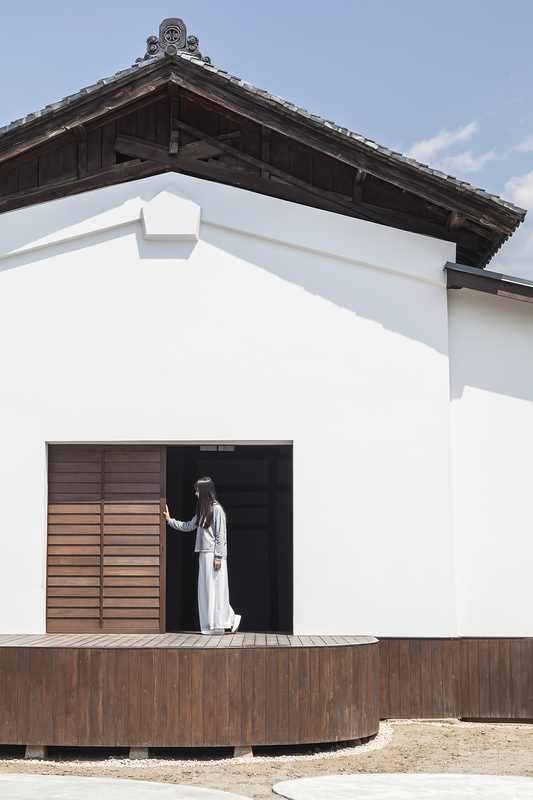 Located in Ichikawamisatocho, a Japanese provincial city in Yamanashi prefecture, the warehouse is part of a former sake brewery compound. The principal building faces the main shopping street, and the warehouse a back alley. The structure that we renovated is the only remaining of a longer warehouse that existed along the back alley. Due to its state of decay, the owner decided to partly demolish it, leaving a portion of the warehouse untouched, but creating an unstructured urban space along the alley, and a semi-demolished warehouse. 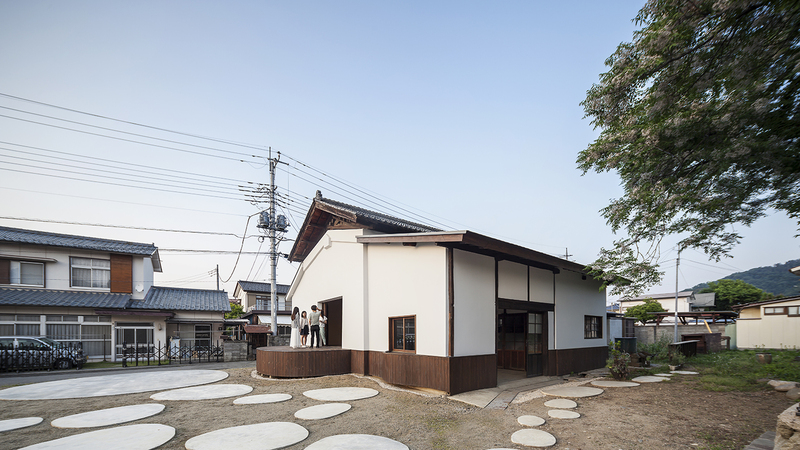 We proposed to re-use the remaining structure and to give new life to the surrounding space that resulted from the demolitions, conceiving it as a public space open for the neighbors. 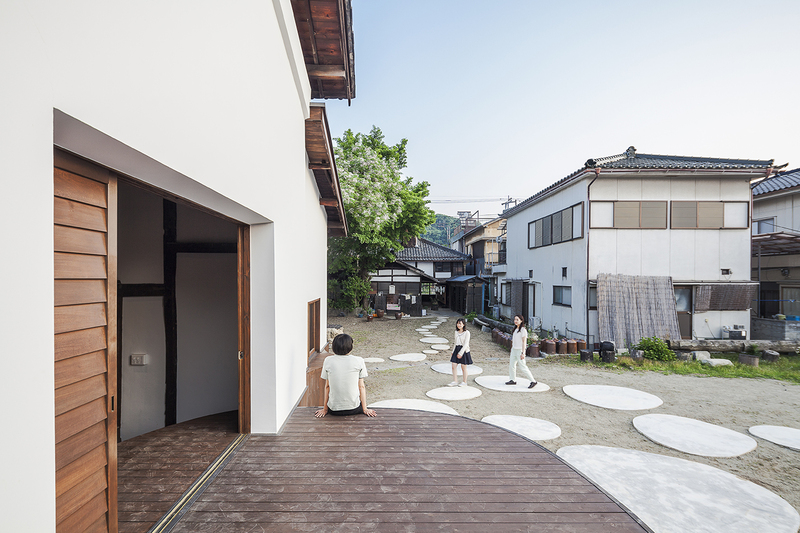 We designed a new public circulation path joining the main shopping street to the back alley, offering the public the opportunity to enjoy the garden and open spaces surrounding the warehouse. 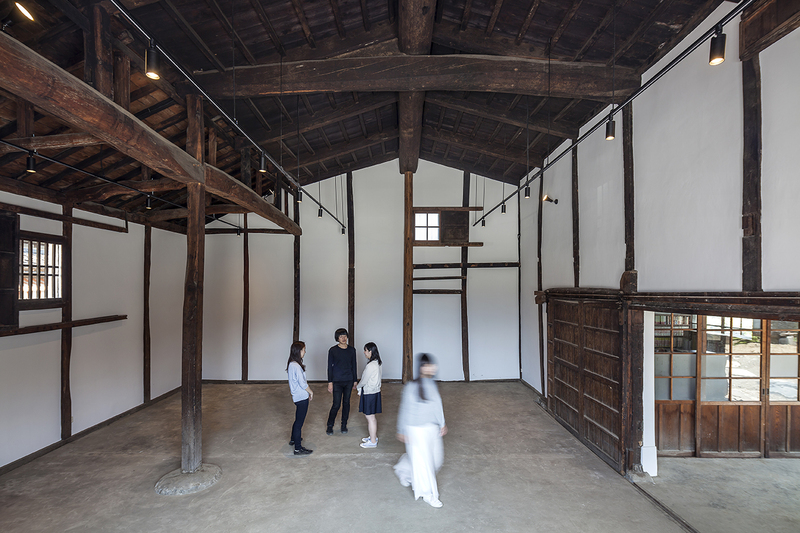 Our goal was not only preserving the old warehouse, but to give it new life and uses, while keeping its historical and architectural character. 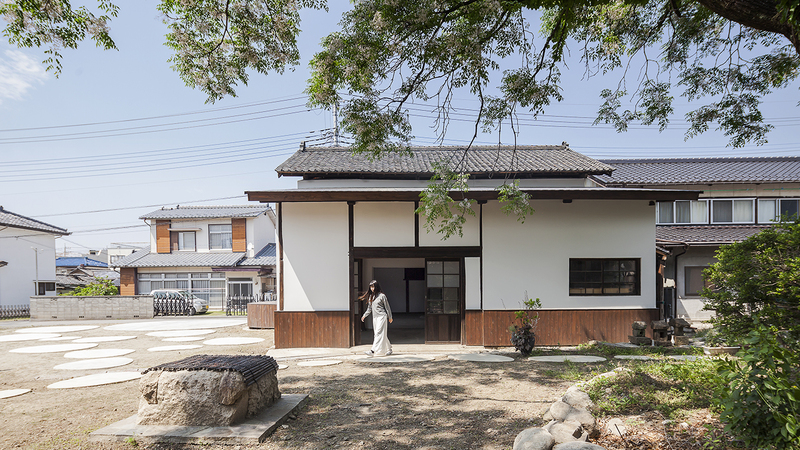 For this purpose, we made use of a Japanese traditional repertoire of materials and elements, but giving them new forms and uses. As a result of long period of brainstorming sessions with the local community group, we decided to introduce new public uses into the warehouse, to convert it into a multi-purpose community space for exhibitions, meetings, conference, and performances. 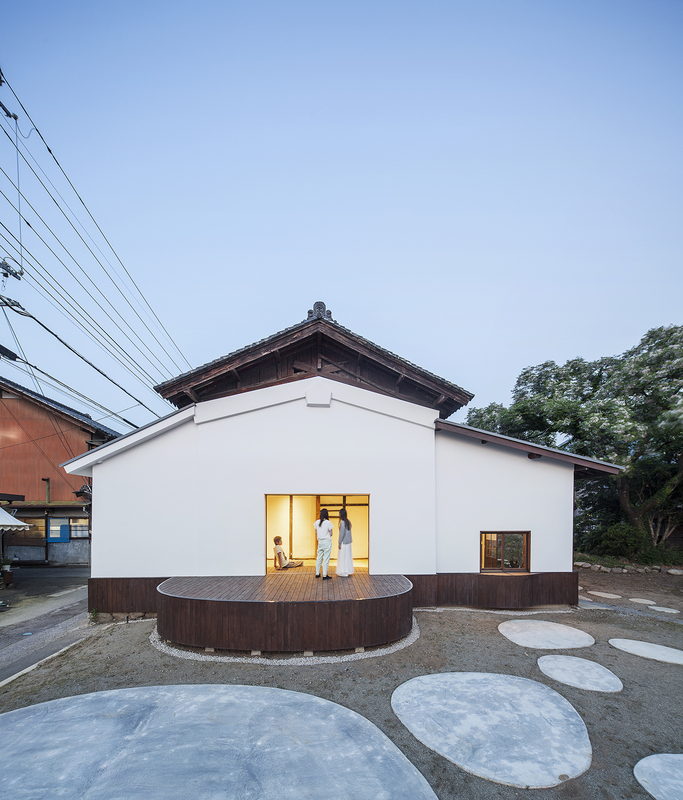 Besides the general reparations works of walls, roof and openings, our intervention was focused on introducing two new elements: a two-sided stage for the warehouse, and stepping stones for the garden pavement. We designed a new stage on one of the renovated façades, half inside and half outside, so that the same platform could serve both indoor and outdoor events. The stage was built as a continuity of the newly built base-panels, often used to protect the lower parts of the walls in this kind of traditional warehouses. The new public circulation was facilitated by another traditional element, often found in Japanese gardens: the stepping stones. This time, however, the stones were custom-made in poured concrete. We introduced diverse sizes of “stones”: small ones to mark paths and giant stones to mark the staying places in front of the stage. Each shape and size, carefully studied on-site, was designed to subtly promote activities and movement on the open space. 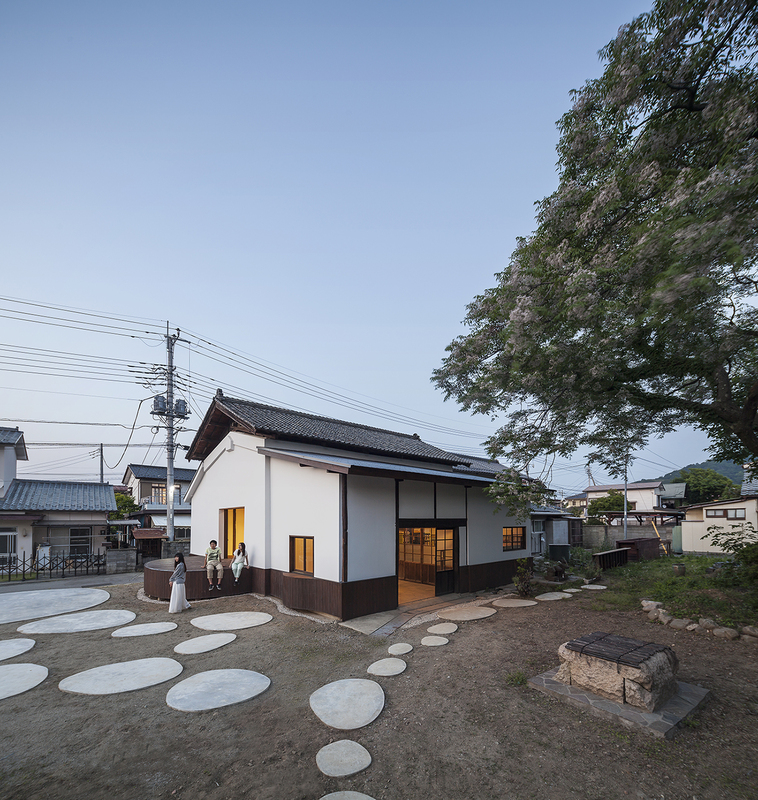 This project, realized in close collaboration with a local community group, creates a public space and gives people the opportunity to gather in this provincial town where public life is almost extinguished due to the continuous sprawl and the hollowing of the built-up areas. 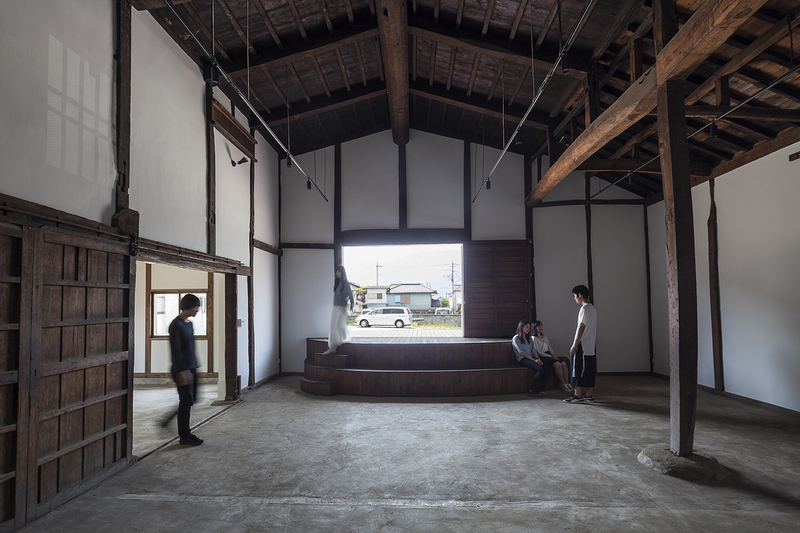 We hope that it will be an inspiring model for other projects to convert the spacious and beautiful kura warehouse that became unused in many provincial Japanese, and re-inject them with new life.